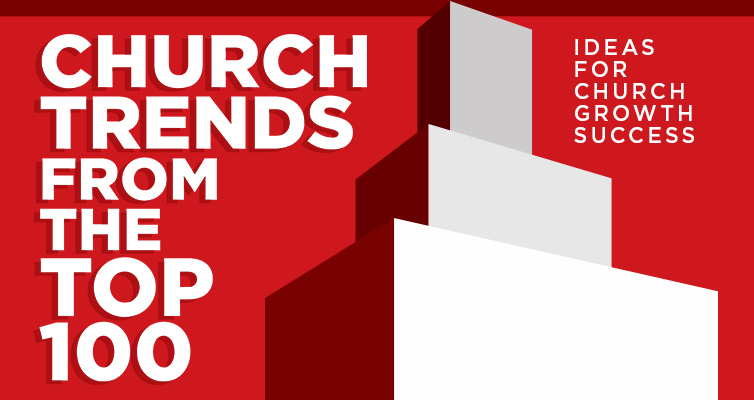 Download Outreach&apos;s Exclusive Church Trends From The Top 100 E-Book - FREE! Download Outreach's Exclusive Church Trends From The Top 100 E-Book - FREE! In 2015, the Outreach team conducted in-depth interviews with sixty-five pastors from America's Top 100 Fastest-Growing Churches to ask about outreach: what are these churches doing, what are they thinking, where is the need, and how are they meeting it? They provided far more insights than we ever expected because, like you, they desire to share Christ with as many as possible. Discover these scalable and repeatable outreach ideas in our new 39-page e-book. Download it FREE!